The story of Hollywood/Santa Monica begins in the 1920s when J.B. Salmon acquired this former dairy farm and formed the Hollywood Company to subdivide and improve the land. Also known as the developer of Kessler Highlands in Oak Cliff, Mr. Salmon was exceedingly careful in the planning of his property. So thoughtfully conceived was his development that he could allow other developers to build in diverse styles as long as they stayed within the deed restrictions. These styles include the predominant Tudor Cottage, as well as Spanish Eclectic, French Eclectic, Minimal Traditional, Craftsman, Monterrey, and two rare examples of the flatroofed Pueblo Revival style. We may suppose that Mr. Salmon was pleased by the outcome because he made his home within the development. Much has been said of the architecture to be found in Hollywood and Santa Monica, and the neighborhood may well be the largest collection of stone-embellished Tudor cottages in the nation. 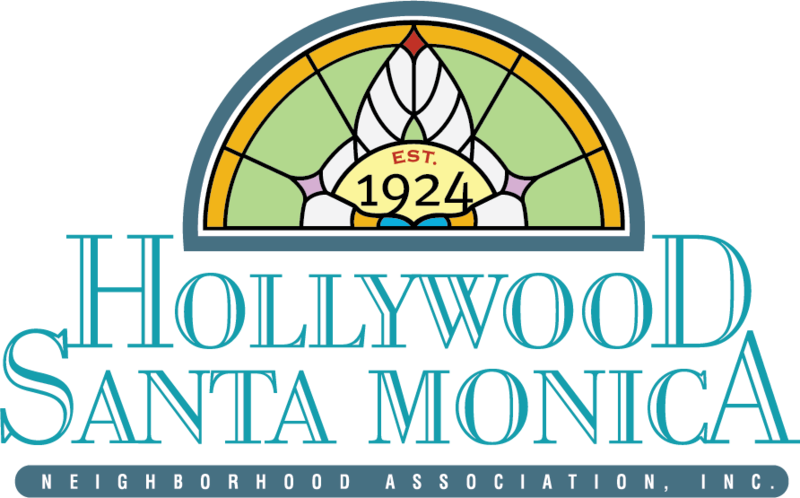 Indeed, it’s because of the attention paid to the aesthetic beauty of the area and its historical significance that in 1989 the neighborhood association succeeded in having Hollywood/Santa Monica declared a local Conservation District. This classification is shared by only a few other neighborhoods in the Dallas area. The unique character of this neighborhood comes not only from the bricks and stones but also from the many people who have added their own unique and personal presence. For the visionary Mr. Salmon or the doughboy returning from Europe, it was a place for new beginnings. For the young family or the single factory worker, it was a place to grow and gain strength. For so many years, Hollywood/Santa Monica has been lovingly referred to as home. As you walk through our neighborhood, try to imagine those who have stood there before you. Will you see the garage aviator taxiing his airplane up and down the street? Or do you see the men talking on the corner – waiting for the streetcar to take them downtown? If you’re lucky, maybe you’ll catch sight of a few young rascals soaping the rails so that the conductor will be unable to get the streetcar back up the hill to Valencia! Or maybe you’ll see the ladies headed down the block to the new grocery that the Minyard family had just opened. You might also envision more recent settlers of the neighborhood. Young men and women, smitten by this rare vision of yesterday, renovating and reinvigorating, building their lives and families much the same as their predecessors did before them. These new neighbors hold the same values that the original community held so many years ago. Armed with these values, they have strived to preserve the neighborhood and the community that thrives here. Where is Hollywood Santa Monica?